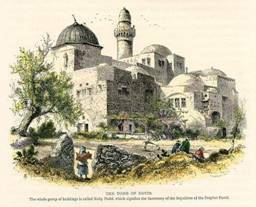 The Tomb of David – drawing by Harry Fenn published in Picturesque Palestine, 1870, Wood engraved print with recent hand colour. Commentary by Robert D. Mock M.D. Where were King David and the kings of Judah buried? The heart of our search for the roots of the Hebrew Nazarene Ecclesia of Jerusalem lay in the home of Mary and her son, John Mark who owned what is now known as the House with the Upper Room. We hear of this home when Yahshua went to host the ‘Last Supper’ with his disciples. As has been well documented, this site is one of the most well marked sites in Jerusalem that survived the Roman destruction in 70 CE. Even the site of the temple of Herod is not fully known with many divergent sites on and off the present Temple Mount. The most strange thing was the location of this home. Understand full well that Yahshua was a hunted man and everything was done with extreme secrecy. (Mark 14:1-2, Luke 22:1-2) The ‘sign’ that the disciples were to know was to watch for a man carrying a water jug. This was unusual for the women usually carried the water jugs. Who then was this man? This is one of the mysteries of the gospels. Yet here in the heart of the Essene controlled sector of Jerusalem Jesus sent his disciples and were given further instructions. Here was the literal son of David with a double genetic lineage to King David from his father and mother, Joseph and Mary. Here Yahshua had pre-arranged in what many scholars now think was an Essene lodging house whose owner and hostess was Mary the mother of the author of the Gospel of Mark, Johannes Marcus. Here when Yahshua knew that His hour had come, prearranged a Passover Seder probably served it on the date of the Passover according to the Essene lunar calendar instead of the Sadducean solar calendar. Here in the guarded quarters of the Essenes, Yahshua was safe and secure outside the reaches of the Sadducean priestly family of Ananus and his son-in-law, Caiphas the reigning high priest of Israel. Beneath this lodging house was the tomb of David. This site was no doubt a holy place to the Essenes of Judea. The guardians of the Tomb of David were probably the upper hierarchy of the Essene Order. Here we might have met Nicodemus, a wealthy grain merchant and a chief elder of the Great Sanhedrin. Here we would have also met Joseph of Arimathea, the later who also was a ‘son of David’, a Roman decurion and a tin merchant from Cornwall England, who also was one of the chief elders of the Great Sanhedrin in Jerusalem and a member of the Roman Provincial Council of Judea. It was Joseph of Arimathea, who was the brother of Eliakim, also known as Heli or Joachim, the father of Mary, the mother of Yahshua ben Yosef. It was Joseph of Arimathea, who is reputed to have also set on the honorary hereditary ‘seat of David’ in the Sanhedrin, the seat in which Yahshua himself no doubt was destined to sit upon the death of Joseph. With a proper understanding of the location of the House with an Upper Room, the status of Yahshua as the ‘anointed one’ of Israel and the significant of this ‘anointed one’ as the Moshiach (Messiah) of Israel, the story of the ‘Last Supper’ becomes even clearer. That Yahshua had made secret arrangements unknown to His disciples with the Elders of the Essenes carries a deeper mystery. That the Essenes had long awaited the coming of the Messiah from the House of David and expected Him to return to the site of His throne deepens the plot. Then ‘when the hour had come’ to host his disciples in His ‘Last Supper’, we now find Yahshua coming to the site destined to be His hereditary throne that was directly over the tomb of His noble ancestor, King David. Did the signal go out to all the Essenes in the land that the Messiah has come? Over the centuries, three temples were built to the Lord of hosts on Mount Moriah: the temple of Solomon, the temple of Zerubabbel and the temple of Herod. Considering that Herod the Great enlarged the platform of the temple and then completely rebuilt and remodeled the temple of Zerubabbel, it has been suggested by some that the entire temple was rebuilt. Looking over the ancient topography of the region, the mount called Zion was initially an elongated triangular shaped ridge that perched between the deep Kidron valley to the east and the equally deep Tyropean valley to the west. The significance of that name, Zion, is physically and emotionally attached to the power of the legends of King David. The archetype of the future Messiah who will restore the splendors of the Solomonic empire, the glories of the Temple of the Lord designed by David and built by his son, Solomon are embedded in all the hopes and aspirations of the Jewish people but also form the spiritual bedrock of the Christian and the Islamic faiths. Yet the significant of “Zion” have less to do with King David than the fact that the Eternal One has stakes His claim on this planet at this one site. In a passage that has strong overtones to today and the time of the end, the Psalmist explains the attachment of the Almighty to this small piece of land. The legacy of David, though a mighty warrior he was, lay not with his own prowess and military acumen, but from the fact that his destiny was in the hands of the God of his forefathers, the God of Abraham, Isaac and Jacob. King David had an incessant desire to find a home and a resting place for his Lord and the Ark of the Covenant that was the object of His presence and could not rest until all the preparations for the House of the Lord were ready to be built by his son, Solomon. On the northeastern base of that ancient city in the Kidron Valley was a constant running spring, the only living water supply in the region. The name of this spring, the Gihon Spring, amazingly carries the legacy of that one of the ancient rivers of the home of Adam and Eve, the Garden of Eden. This river, the Gihon River, has been lost in history and remains the most mysterious river of the four that flowed from the residence of the Lord in that ancient world and most ancient land. Yet it has become also again the archetype or literal shadow picture of a future mighty river that the prophet Zechariah predicted would flow again, this time from the southeastern base of the temple mount. This source of water, coming from the foundation of the Temple of the Lord, is spoken of not only by Zechariah, but also by other prophets of old. Joel 3:18 - “And it shall come to pass in that day, that the mountains shall drop down new wine, and the hills shall flow with milk and all the rivers of Judah shall flow with water, and a fountain shall come forth of the house of the Lord and shall water the valley of Shittim. Here was the famed land of Shittim wood in which the ark of the Covenant (Exodus 37:1) was made. Here was the land of Moab, where the children of Israel traversed through in route to the Promised Land (Numbers 25:1). Near here was the Valley of Siddim, also called the Vail of Siddim that was a land of beauty and abundance like the Garden of Eden. (Genesis 13:10) Here resided the family of Lot and the evil inhabitances of the cities of Sodom and Gomorrah. “And he said to me, ‘These waters flow out towards the eastern region, and go down to the Arabah, to the sea; and when they enter the sea, the waters shall be healed…… And by the stream, upon its bank, on this side and on that side, shall grow all trees for food, whose leaf shall not wither, nor shall its fruit fail; it shall bring forth fresh fruit every month, because the waters for them flow from the sanctuary; and their fruit shall be for food, and their leaves for healing." Hiluk, son of Shimur HaLevi, was given twelve more precious stones in order to hide them so that they could (eventually) be restored to the Tribes (of Israel). The names of the Tribes were engraved on them and they shone on the Tribe’s heads, excellent and precious, one more than the other. No king, prophet, or anyone else knew where they were hidden, excepting Hiluk, son of Shimur Ha Levi….All Israel concealed the Vessels until a righteous king arises over Israel. What’s more, they all swore a solemn vow never to reveal the whereabouts of these vessels until David, son of David, arises. All silver, gold, and Margaliot (precious stones) which was ever hidden away will be handed over to him when the exiles of Israel will be gathered from the four ends of the earth and they ascend with greatness and exaltation to the land of Israel. At that time, a great river will issue forth from the Holy of Holies of the Temple. It’s name is Gihon, and it will flow to the great and dreadful desert, and become mixed with the Euphrates River. Immediately, all the Vessels will float up and be revealed. Once again we have the southeastern border of the Temple, a great river will flow forth from near the site of the Gihon Springs and it will be called the Gihon River at the site where the legends of the Jews record that this was the site of the creation of this planet earth by the Eternal One of Israel. The restoration of the Gihon River is verified by the prophets Amos, Ezekiel and Zechariah and re-confirmed by name by Shimon haLevi, possibly the high priest of Israel. It was Shimon that sacrificed the third and fourth red heifer after Ezra sacrificed the second in the years of the restoration God’s people and the of the Temple after exile in Babylonian and Persian exile. The Gihon Spring has remained flowing to this day possibly since the days of Eden but historically known since the days of David and Solomon and has remained the life source of that ancient city. There are only five references to Gihon in the entire Tanakh (Old Testament). These include the Gihon river that split off the River of Eden. Genesis 2:13 – “The name of the second river is Gihon; it is the one which goes around the land of Cush. From the temple mount, this river traversed east towards the Great Sea (Mediterranean Sea) and then traversed south probably down the ancient river bed of the mighty Nile River to the region of Ethiopia or the land of Cush. Almost eight centuries later, the Nation of Judah was facing extermination at the hands of Sennacherib, the ruler of Assyria when a massive project was undertaken to route the waters of the Gihon Spring which was outside the walls of Jerusalem and tunnel through the bedrock of Mount Zion to the present site of the Shaloam Springs inside the city. This was done in the days of King Hezekiah. 2 Chronicles 32:30 – “This same Hezekiah also stopped the water outlet of Upper Gihon, and brought the water by tunnel to the west side of the City of David. 2 Chronicles 33:13-16 – “After this he (King Manasseh) built a wall outside the City of David on the west side of the Gihon, in the valley, as far as the entrance of the Fish Gate; and it enclosed Ophel, and he raised it to a very great height…He took away the foreign gods and the idol from the house of the Lord, and all the altars that he had built in the mount of the house of the Lord and in Jerusalem; and he cast them out of the city. He also repaired the altar of the Lord, sacrificed peace offerings and thank offerings on it, and commanded Judah to serve the Lord God of Israel. On February 12, 2001, a major archeological discovery was reported by the Temple Mount Faithful that in Hezekiah’s Gihon Tunnel under the steps leading into the tunnel mikvah baths were discovered by underwater divers for the ritual purification baths of the high priests of the second temple era. One of the features of the Gihon Springs and the tunnel system built by King Hezekiah, was that the region around the Gihon springs was pocketed with ‘caves’ or ‘forts’ and the geological features used to describe the Ophel were the caves (dens in KJV) either on the side of the mountain platform or underground and beneath. 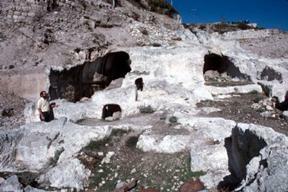 It is these caves that form a karst watering system that feeds the Gihon Springs. One of the most radical but well documented and supported thesis of the site of Solomon’s temple is proposed by Archeologist Ernest Martin. According to him, the Temple of Herod was truly razed to the bedrock ground as predicted by Yahshua (Matthew 24:2) and that the Temple Mount (Harem al’Sharif) was not the site for the temple. The temple was actually built south of the Temple Mount on a temple platform that no longer exists today. Consider this information from what we have learned about the location of the Gihon Springs, the newly found mikvah baths for the high priest of the Temple of Herod and the above topographical map that somewhere east of the Dung Gate and the present Islamic walls on the south side of the Temple Mount in Old Jerusalem a platform once upon a time existed that held the temple of Solomon, Zerubabbel and Herod. When we look at the construction of the Palace of Solomon, the BibleSearchers came to an important conclusion in ancient stonemasonry, the Temple of the Lord was not built with iron instruments such as iron hammers and chisels but the temple of the Lord was built with the use of diamond and corundum bit saws. The ancient art of diamond drilling and engraving was known in the mists of antiquity. The Hebrews knew the art of stone engraving when the stones on the breastplate of the high priest were engraved with the names of the tribes of Israel. It can only be assumed that the use of saws, even diamond bit saws were used in the stone masonry construction of the temple. Outside the ancient and more recent walls of Jerusalem several hundred meters to the south was a hill of a higher elevation called by Josephus as the ‘western hill’ (Josephus, Wars of the Jews, V, 4) According to some scholars, it was this hill that was called Mount Zion, and according to tradition it was the site of the sepulcher of King David. Here in this tomb was reputed to be the vast wealth of Israel’s most famous king. 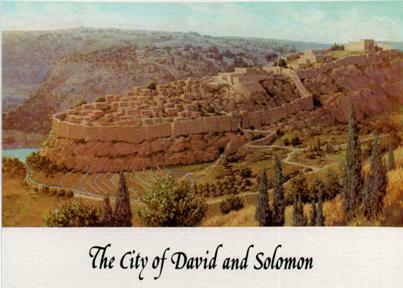 The biblical account states that King David was buried ‘in’ the City of David, called “Ir David”. The first mention of this city was in the days of Abraham when after he conquered the five kings that invaded and overran Sodom and Gomorrah and kidnapped his nephew, Lot. Abraham then went to meet the mystical king of Salem, Melchezadik and gave a tithe of the booty to this noble king, whom many scholars believe was Shem, the most ancient man living on this planet. During the time of the invasion of the land of Canaan by the children of Israel and their judge and general, Joshua, the city of Jerusalem was controlled by the Jebusites who raised an impenetrable fortress and kept them autonomous and free until the time of King David. This city was divided into two parts, the eastern part called Mount Zion or “Metsudat Zion” and the larger western hill, the home of the Jebusites, called Har haMoriah. Jerusalem was the stronghold of the ancient Jebusites who lived over the more ancient fortress site of Salem (Jebu-Salem). Here David reigned for thirty-three out of his forty years of rulership over Israel until his death. I Kings 2:10 – “So David rested with his fathers, and was buried in the City of David. The period that David reigned over Israel was forty years; seven years he reigned in Hebron, and in Jerusalem he reigned thirty-three years. On the northern sector of the City of David, ‘Ir David’, David built his palace, the Citadel of Zion near the Gihon Springs, the only local source of fresh and potable water in the city. 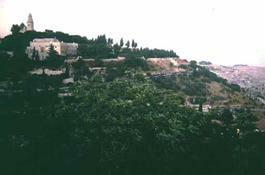 It was then north of the City of David that Solomon built the temple of the Lord on an elevation called Mount Moriah. The vast unaccounted for wealth of King David has always been the legends of history. As this wealth was sought a partially utilized by Hyracanus the high priest to buy off Antiochus Epiphanes IV prior to the desecration of the temple, so also later Herod the Great made the last ill-fated recorded attempt to enter the sepulcher of David and recover additional treasures. So now we have a tomb of David that was entered by both the high priest of the temple of Zerubabbel and later by King Herod the Great. Yet the question still alludes us, where was the tomb of David? In 1913 to 1914, Raymond Weill conducted the first Jewish archeological excavation in Jerusalem. The land bought and funded by Baron Edmund Rothschild, Weill became to work on the site of the old Jebusite city. He excavated what were eventually recognized to be burial shafts known as tombs T1-T8. A decade later Raymond Weill returned (1924) and opened up tomb T9. Of these burial shafts, Hershel Shanks, editor of Biblical Archaeology Review initially believed that T1 may be the tomb of David. It is a tunnel reported to be 52 ½ feet long, 8 feet wide and 13 feel high with a recess that would house a sarcophagus or ossuary up to 4 feet by 6 feet in dimensions. It also included a diagonal shaft for another burial site. Surrounding this noble shaft were the lesser tombs of T2 to T9. What is known is that Jerusalem, the City of David located on the east-ridge south of the present Temple Mount was only 10-11 acres in size. This may appear to be unusually small but was quite large for a fortress city in the land of Canaan. In comparison, the mighty fortress city of Jericho was 5 acres in size. Yet were the kings of Judah actually buried within the walls of the city? When we look at the scriptural evidence, we have to conclude the affirmative, yet what does ‘in the City of David” actually mean? 1 Kings 11:43 – “Then Solomon rested with his fathers, and was buried in the City of David his father. 2 Chronicles 9:31 – “Then Solomon rested with his fathers and was buried in the City of David his father. I Kings 14:31 – “So Rehoboam rested with his fathers, and was buried with his fathers in the City of David. I Kings 15:8 – “So Abijah rested with his fathers, and they buried him in the City of David. 2 Chronicles 14:1 – “So Abijah rested with his fathers, and they buried him in the City of David. I Kings 15:24 – “So Asa rested with his fathers, and was buried with his fathers in the City of David his father. I Kings 22:50 – “So Jehoshaphat rested with his fathers, and was buried with his fathers the City of David his father. 2 Kings 8:24 – “So Joram rested with his fathers, and was buried with his fathers in the City of David. 2 Chronicles 21:18-21 – “After all this the Lord struck him (Joram) in his intestines with an incurable disease. Then it happened in the course of time, and after the end of two years, that his intestines came out because of his sickness; so he died in severe pain. And his people made no burning for him like the burning for his fathers. ..and, to no one’s sorrow, departed. However they buried him in the City of David, but not in the tombs of the kings. 2 Kings 9:28 – “And his (Ahaziah) servants carried him in the chariot to Jerusalem, and buried him in his tomb with his fathers in the City of David. 2 Chronicles 22:9 – “When they killed him (Ahaziah) they buried him “because,” they said, “he is the son of Jehsophat, who sought the Lord with all his heart. 2 Kings 12:21 – “So he (Joash) died, and they buried him with his fathers in the city of David. 2 Kings 15:7 – “So Azariah rested with his fathers, and they buried him with his fathers in the city of David. 2 Kings 15:38 – “So Jotham rested with his fathers, and was buried with his fathers in the City of David his father. 2 Chronicles 27:9 – “So Jotham rested with his fathers, and they buried him in the City of David. 2 Chronicles 28:27 – “So Ahaz rested with his fathers, and they buried him in the city, in Jerusalem; but they did not bring him into the tombs of the kings of Israel. 2 Kings 20:21 – “So Hezekiah rested with his father. 2 Chronicles 32:33 – “So Hezekiah rested with his fathers, and they buried him in the upper tombs of the sons of David. 2 Chronicles 33:20 – “So Manasseh rested with his fathers, and they buried him in his own house. 2 Chronicles 33:24 – “Then his servants conspired against him (Amon) and killed him in his own house. But the people of the land executed all those who had conspired against King Amon. 2 Chronicles 35:24 - “His servants therefore took him (Josiah) out of that chariot and put him in the second chariot that he had, and they brought him to Jerusalem. So he died, and was buried in one of the tombs of his fathers. 2 Chronicles 36:10 – “At the turn of the year King Nebuchadnezzar summoned him (Jehoichin) and took him to Babylon. King Manasseh was “buried in the garden of Uzzah” or the ‘field of burial” near the tombs of the kings and later Manasseh’s son, Amon, was also buried in this field. Manasseh it states also that he was buried in “his own house” which may suggest some sort of a mausoleum. Good king Josiah when he was killed in battle with Pharaoh Necho of Egypt was the last of the Judaite kings to be buried in the ‘one of the tombs of his father” with emphasis that he had “his own tomb”. After Josiah, kings Jehoahaz was taken into exile to Egypt and died there. King Johoiakim was taken into exile to Babylon, but on his death, the scribes of Kings state that “he rested with his fathers”. Jehoiachim was also taken as captive by Nebuchadnezzar to Babylon but tradition states that Evil Merodock, ruled during the years of his father, Nebuchadnezzar’s seven years of insanity. When his father return to power, Evil Merodock was put into the same prison with king Jehoahaz and they became friends. When Nebuchadnezzar died and Evil Merodock return to the throne, he released Jehoahaz who lived in Babylon till his died. The last king of Judah, Zedekiah, was blinded and taken to Babylon where he died in exile. Across the Levant in the ancient times, it was a belief of the people that a dead corpse would contaminate large populations. Where even in Israeli cities the population was buried outside the city walls, were the kings buried inside the city walls or outside and adjacent to the city walls? The scriptural evidence suggests that they were buried inside the walls, but within which walls were they buried? The archeological evidence is still very scanty as to whether or where the walls of the city of Jerusalem extended around the city outside of the old Jebusite city during the era of the kings of the House of David. A ten acre city is quite small and most of the population would have had to live in the surrounding valleys and hills only to flee into the city walls in times of danger. The arguments continue back and forth concerning the shaft tombs. While Hershal Shanks has stated a position on T1 shaft tomb, David Ussishkin claims that it is too crudely built, yet admits that the king’s tombs at Byblos and Tunis were also quite crude yet the ornaments discovered were ‘impressive’. Katherine Kenyon thought that the shaft were cisterns but could not understand how they could have been used. Gabriel Barkley gave his opinion for T1 that it was used to store wine, but earlier he did not know. Even so the scholarly opinion is still widely divergent (BAR, January/February 1995, 62-67) Most scholars with the lack of concrete evidence have not come to the conclusion that these shaft tombs were not the tombs of the kings of Israel. At least the evidence does not give a conclusion to that yet. Who was this King Artaxerses and when did Nehemiah approach the king to go back to Jerusalem? The history of the Medes and the Persian to students and scholars of antiquity has been an enigma. The complexity is that our modern chronology of the Persian was formulated with the monks of the Byzantine Roman Empire. The author of the first authoritative text of the rabbinic calendar, the Sedar Olam Rabbah, the rabbinic view of Biblical chronology, was Rabbi Yose ben Halafta, the most prominent student of Rabbi Akiba about 130 CE. Here he chronicles the life of the Jews during this empire and the dates of how they affected the history and the prophetic utterances of the prophets for the Jewish people. What is seen is that there is a wide divergence of 167 years between the chronology of the Rababbim and the Byzantine monks. The latter chronology is the most accepted dating system in Christian Old Testament history and prophecy while the Rabbinic Jewish chronologies are used in the in orthodox Jewish history and prophecies of their prophets. The author of the Sedar Olam, Rabbi Yose begins with his proof that the rule of Darius the Medes did come before Cyrus the Great of Persia. It was this Darius who initiated the organizational system of government with one hundred twenty satraps over regions of Persia and three governors, of which Daniel was one of the three. (Daniel 6:1-2) The story of Daniel in the lion’s den in set in the political intrigue of the first year of Media-Persian rule when King Darius the Mede was in the process of considering Daniel to ‘setting him over the whole realm” and the rest of the governors were conspiring against his promotion to the viceroy of the empire under the emperor himself. Daniel had now in his eighties, had been in exile in the land of Babylon for seventy years. Here the aged statesman of Judah, who had served in three Babylonian administrations who in defense of his life whose to open his windows to the east and publicly pray facing Jerusalem three times a day in defiance of the royal decree conspired by the governors and satraps. This Darius the Mede ruled only one year and the power of the empire went to Cyrus the Persian. The governorship of Daniel continued into the transfer of power from Darius the Mede to Cyrus the Great and he was chief governor over Persia until the second year of Cyrus reign. As stated by the Sedar Olam, Cyrus the Great was also Xerses and Ahasuerus, the Persian king featured in the story of Purim and Queen Esther. Here we find the story according to the rabbis of Nehemiah the cupbearer of king Ahasuerus in the Book or the Megillah of Esther, who was non other than King Cyrus the Great also called Xerses. When Nehemiah the governor was sent to Jerusalem to inspect and to rebuild the walls, the first thing he did was to conduct a secret inspection at night of the old city of David and surrounding this inspection were the landmarks of the Gihon Springs and the tombs of the kings. There were also interesting landmarks that were described when the rebuilding began. Nehemiah 3:16 – “Shallun the son of Col-Hozeh, leader of the district of Mizpah, repaired the Fountain Gate; he built it, covered it, hung its doors with its bolts and bars, and repaired the wall of the Pool of Shelah (Shiloah) by the King’s Garden, as far as the stairs that go down from the City of David. After him Nehemiah the son of Azabuk, leader of the half the district of Beth Zur, made repairs as far as the place in front of the Tombs of David, to the man-made pool, and as far as the House of the Mighty. Gary Arvidson in his book, In Search of King David’s Tomb and the Lost Golden Treasure, makes these observations. There was a certain hypothesis that the southeast corner of the City of David would be the most promising site to find the tombs of King David, yet there was a strong historical tradition that the tomb of David had been moved to another location. At this moment we have two locations that are potential for the site of the tomb of David. The first is the site of the Hebrew Nazarene Ecclesia which was reconstruction over the older Essene boarding house and meeting place which was constructed over the site of the recognized tomb of David in the days of Yahshua. The second site is a series of diagonal shaft tombs built into the mountain at the base of the southeastern corner of the City of David. This site was below the site of the Citadel of David with breathtaking views in a panorama looking over the Valley of Hinnon to the southwest, the Tyropean Valley along the western wall and the mighty Valley of the Kidron to the east. It is the Fountain Gate that is most intriguing in this passage. According to a three part article of Bill Lavers, Locating Jerusalem’s Fountain Gate, the gate appears to be associated with access in and out of the city to the only living spring in Jerusalem, the Gihon Springs. Within the ancient writings, the Gihon Springs is called by many names: the Fountain of YHVH, the Fountain of the High Priest, the Fountain of Israel, the Fountain of Life, the Fountain of the Steps, the Virgin’s Fountain and the Fountain of Siloah. This gate, the Fountain Gate, was part of a defensive wall built outside the city, constructed by King Hezekiah to divert from a besieging army the spring of Gihon, which could not be brought within the City-wall. At the same time it effectively brought the waters of the Gihon within the City. So hence the name called Siloam which means ‘sent’ as a conduit. This Siloam was later called by Josephus, Siloah. From the vantage point of the elevation of the walls of the city of Jerusalem, King David could have looked down upon the Kidron Valley to the Gardens of David below. To the north was the Gihon Springs at the base of Mount Moriah where the Solomon would soon build a temple to the Lord of hosts. The overflow water from the Gihon Springs would cascade downwards to the south of the city and resided a lower pool called the Pool of Siloam. It appears that somewhere in this region were the tombs of the kings of Judah and the Tomb of David. Near the crest of the upper walls of the city of Jerusalem was the Fountain Gate in the days of Nehemiah. The priests and the pilgrims would exit this eastern gate and take the steep stairways down to the Kidron in the valley below to the Water Gate. Here they would walk through the Water Gate in the Tower of Siloam that was constructed into the old city walls of David, which supported the Millo near to the springs themselves. Here they would enter the enclosure of the Fountain of Siloah (Siloam). It was this Tower of Siloam and the Pool of Siloam that Jesus made an observation when it fell during an insurgent raid on Jerusalem by the Zealots just prior to the Passion Week. (Luke 13:4). It was in this same area that earlier Yahshua met the man that was blind since birth with a mixture of soil mixed with His own sputum, He packed the man’s eyes and asked him to wash it out in the Pool of Siloam. There beside the pool south of the Gihon Springs, this man became a living witness to the healing power of the witness of Jesus, who there called himself the ‘Light of the World”. This healed blind man testified to the chief priests of the temple during the Festival of Hanukkah of his belief in this ‘prophet’ of God.